Update: The Minnesota State Veterans Cemetery - Preston is currently open. Pre-registration ensures your eligibility in advance and eliminates delays in providing military documents to the cemetery. Pre-registration applications are available at the cemetery office or at your local County Veterans Service Office (CVSO). Contact your CVSO at www.macvso.org or by calling 1-888-LinkVet (546-5838) MDVA’s one-stop customer service line for all Minnesota Veterans and their families. 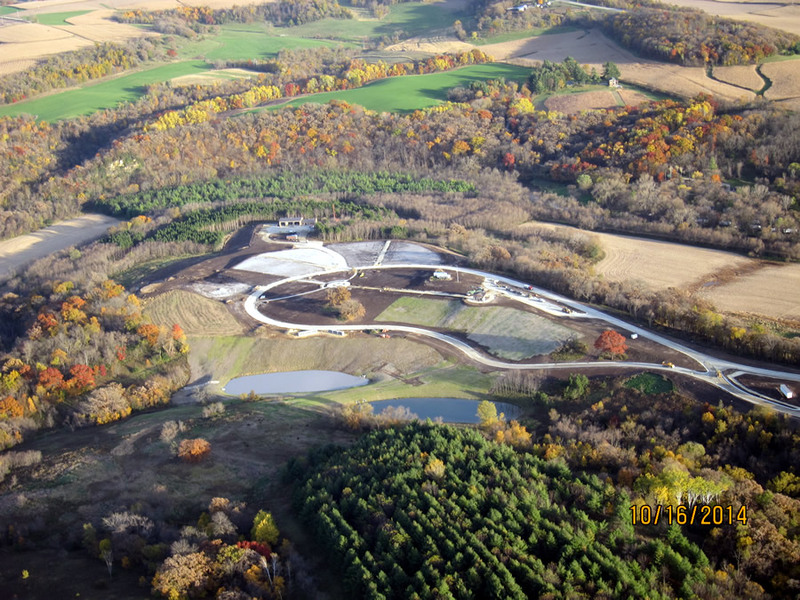 PRESTON, Minn. (KTTC) -- It is a project set to be the final resting place for thousands. The very first state veterans cemetery for southern Minnesota, western Wisconsin and northern Iowa has just a little bit of a hold up. Initially set to open early this fall, an irrigation issue is having an impact on the completion date for Preston's cemetery. The Minnesota State Veterans Cemetery in Preston began construction earlier this spring, but for many in town, it appears that not much progress has been made. However, those close to the project assure that this169 acre site will soon be ready to serve our service men and women. Neil Bremseth has been waiting. "It will be nice when it's done," he says of the project just a couple miles from his home. After serving our country in the Korean War, what Bremseth wishes to be his ending, final resting place, is just beginning to come to life. "I've been out there several times now, it's kind of frustrating you can't see much headway," Bremseth says. Since June, construction signs have flanked the entryway to Preston's veterans cemetery. "Of all the issues I've worked on, this probably means the most," Rep. Greg Davids says of the sprawling cemetery site, which lays on land originally owned by Fillmore County. The project has hit many roadblocks during years of planning, and has now hit one more obstacle. And it's something in the water. "There's apparently too much iron, in the irrigation water, well you can't have water that's hitting concrete, cement, stones, it would turn the color," Davids explains. Engineers have fought off the problem by putting the iron-rich well water into ponds in order to allow the contents to spread out before using it to irrigate the lasting tribute to tens of thousands of veterans in our area. "This is a promise made by the federal government to veterans that goes back well over 100 years, and we need to fulfill that promise and this is part of that promise," Davids says. Some places are already standing tall, like the committal shelter, where services will be held. The administration office and maintenance building also appear to be in the final stages. "You look at the final drawings and everything and what this is going to look like and you think, how is this ever going to happen?" Davids admits. "But we can really see it starting to take shape now." Davids assures this promise will come full circle to pay the ultimate respects to our nation's heroes like Bremseth. "No sense in doing a half a job. Doing a good job the first time, if it takes a couple more months, that's not the end of the world either," says Bremseth. Rep. Davids and groundskeepers tell us it should be ready to open for its first burial ceremony in November, which will be determined based on order of death date. The following ceremonies will be determined by a first come, first serve basis. According to the Minnesota State Veterans Cemetery website, an official dedication ceremony is scheduled for Memorial Day in 2016. State officials hope to break ground this fall on Minnesota’s second state veterans’ cemetery, but the project is likely to be more costly than anticipated. The cost is expected to rise from about $7.9 million to around $10 million because of challenges related to the project’s rolling 176-acre location near Preston, about 36 miles south of Rochester in Fillmore County. Swantek said the state is responsible for the design costs upfront. Even so, the state will be reimbursed by a federal grant, which will cover design and construction costs, he said. Fillmore County donated the land, a former farm property that overlooks the Root River. Swantek said construction will wrap up in fall 2014 or spring 2015. It’s not the only state veterans’ cemetery project in the works. The Minnesota Department of Veterans Affairs has scoped out potential cemetery locations in Duluth and southwestern Minnesota, but it has been challenging to find suitable sites, according to Swantek. 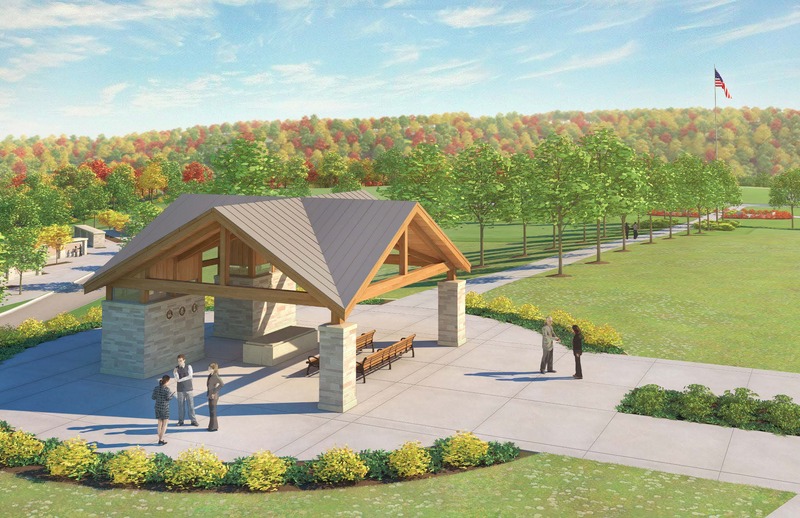 Meanwhile, a nearly $1.5 million expansion of the Little Falls cemetery was completed this summer, a project that will allow for another 10 years of burials there. The Fillmore County cemetery will accommodate about 400 to 450 burials a year, similar to Little Falls. Based on demographics, the demand for veterans’ burial space is going to decrease at some point, but it’s “going to take a fair amount of time for that to occur,” Swantek said. According to a conditional use permit application, the Fillmore County property was farmed from the early 1900s until the 1970s, when the county acquired the land. It includes “steep to very steep slopes and large ravines,” the application noted. The project will require additional roadway work, extensive grading and some tree removal, all of which drive up the project’s cost. Still, the site has some big advantages including a scenic view of the Root River, accessibility from Highway 52 and the fact that it was donated by the county, according to Swantek. “In the end it’s going to create a special cemetery down there. The beauty of that site is stunning,” he said. 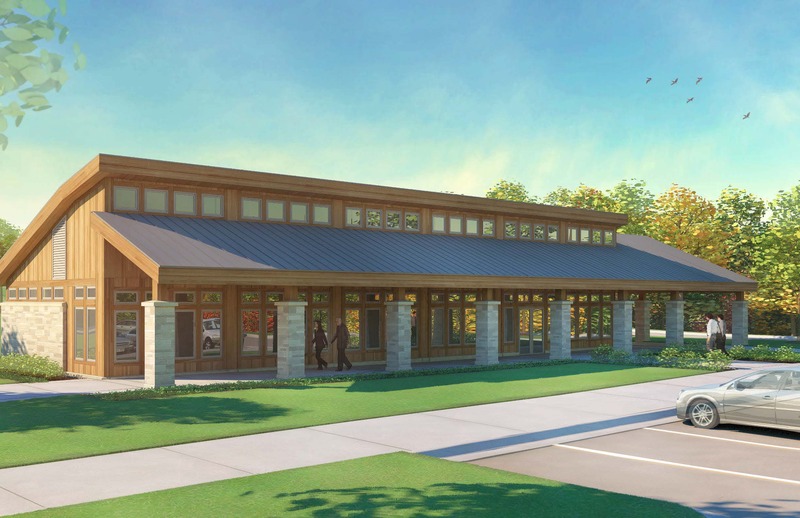 The project will feature an administrative building/public information center, a maintenance building and a “committal service structure,” where burial services will be held. 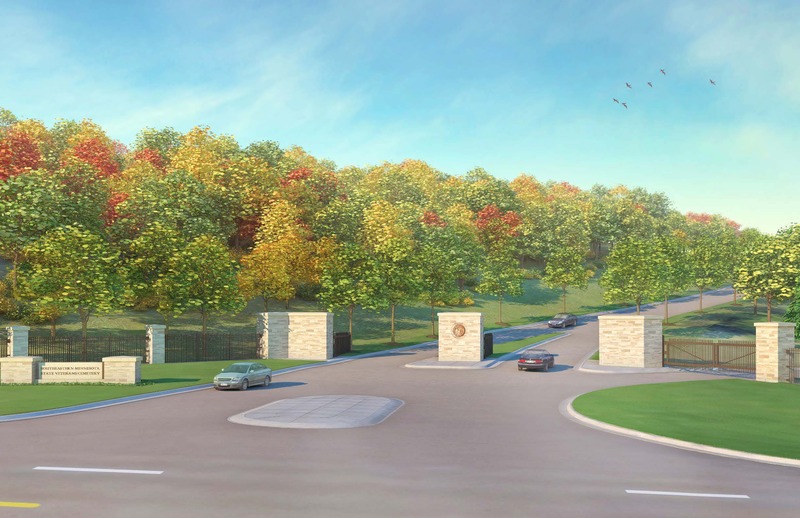 Additional work includes roads, curb and gutter, grading and landscaping, an entryway, gates and pillars, a columbarium, and a plaza that will host Memorial Day ceremonies. Construction bids are being reviewed and a contract will be awarded soon, Swantek said. The bidders are Olympic Builders General Contractors, Schwab LLC, Donlar Construction, The Joseph Company and Sheely Construction. Edmonton, Alberta-based Stantec Consulting is overseeing the design. The project is designed to adhere to federal standards for veterans’ cemeteries. The U.S. Department of Veterans Affairs and the National Cemetery Administration aim to offer a VA burial option within 75 miles of 90 percent of all veterans in the country. At present, the only state veterans’ cemetery in Minnesota is at Camp Ripley near Little Falls, and the only national cemetery in the state is Fort Snelling National Cemetery in Minneapolis. The new cemetery will allow for more than 50 years’ worth of burial space. Jason Marquardt, veteran services officer for Fillmore County, said the county welcomes the project. 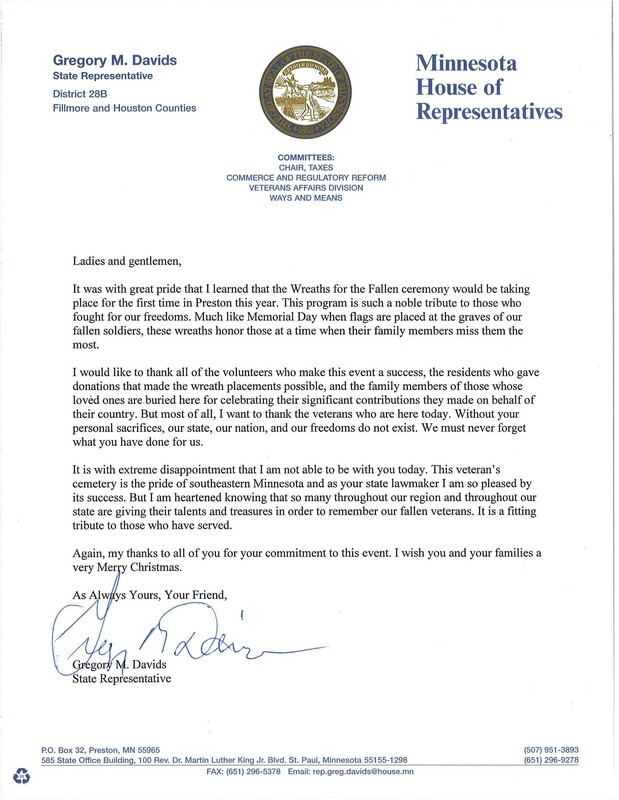 Fillmore County and neighboring Houston County each have about 2,000 veterans, he said. “This will give veterans of southeast Minnesota and even Wisconsin and Iowa the ability to be buried closer to home,” he said. veterans cemetery being developed in southeastern Minnesota. to make up for the lost time. the contact person for getting in touch with the contractors hired for the construction. we had, but they have been working hard to catch up to the schedule," Martin said. almost all of the trees. burned. They had been planted by the county several years ago," Martin noted. With the trees removed, the contractors began moving 300,000 cubic yards of soil. bulldozers have been leveling off. help break it up into small enough rock it could be used under the soil," Martin stated. for the project, Martin said. the rock to the soft soil," Martin commented. used year round for services for veterans who are being buried in the cemetery. used at the groundbreaking last year. 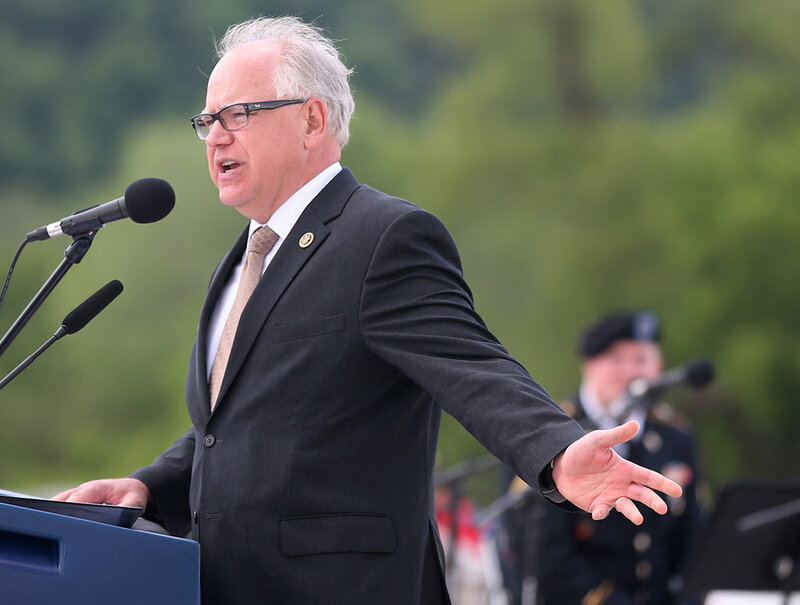 "The flag we used for the groundbreaking flew over the capital in Washington, D. C.
Tim Walz brought it back," he said. can be seen stretching to the farthest ridge on the horizon to a line of telephone wires. in the future when the cemetery needs to expand. remaining in the cemetery area. One stands above one of the ponds. near the pond," Martin related. apart at more than 90-degree angles from each other. the vaults being installed for caskets to be buried in. little disruption to the current landscape. rolled out again. No one will be standing on piles of dirt or mud," noted Martin. been laid. Since the vaults are made out of concrete, they are extremely heavy. guessed one vault to be 5,000 or 6,000 pounds. fix a wire," Martin said. foot and a half of gravel will be poured on the dirt and eventually it will be paved over. be planted lining the road throughout the cemetery. 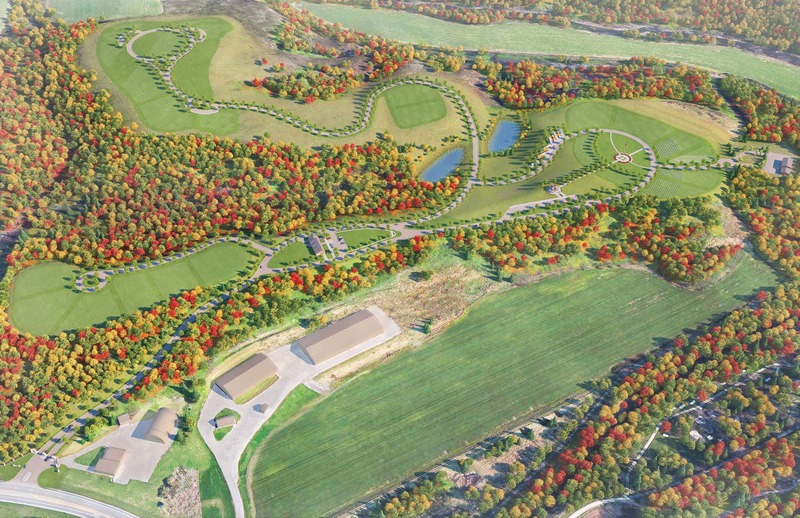 Of the 160 acres for the cemetery, 48 acres will be for burials. of passersby or even Preston residents. going on here," Martin commented. overnight and go eat at places like the Branding Iron," he added. Washington, D.C. Fillmore County even beat out Rochester for the veteran's cemetery. If all goes as planned, the cemetery is slated to open in the spring of next year. On the most befitting day to honor veterans who defended the United States, two Preston residents were chosen to be the first to be buried at the new cemetery Veteran’s Day 2015. 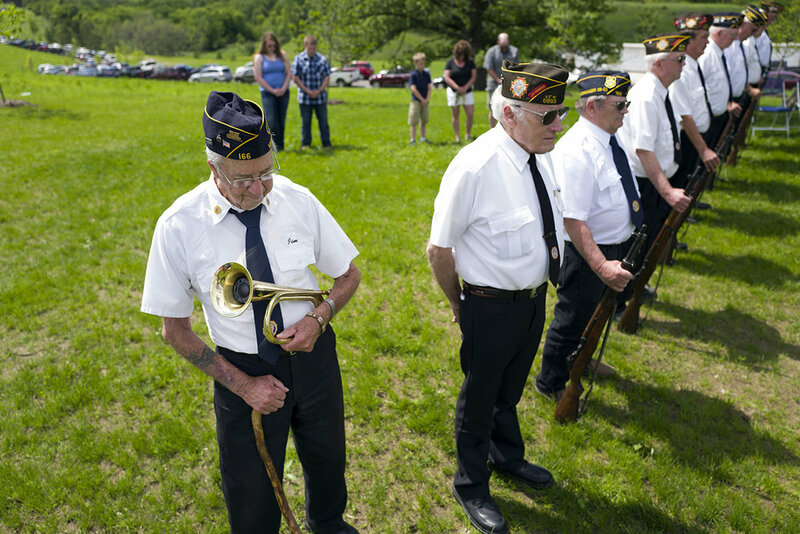 "The first burials were two veterans who were both former mayors of Preston," stated David Swantek, cemetery director from the Minnesota Department of Veteran Affairs. Earl Hoff served in the Air Force a few years after World War II and through the Korean War. Clarence Quanrud served in the Navy in the mid-1950s. Both played an important part in Preston's history as mayors in the 1990s. The men were buried in their assigned places with a joint burial service in the pavilion. The Veterans Cemetery holds several styles of burial. The veteran can be cremated or not. 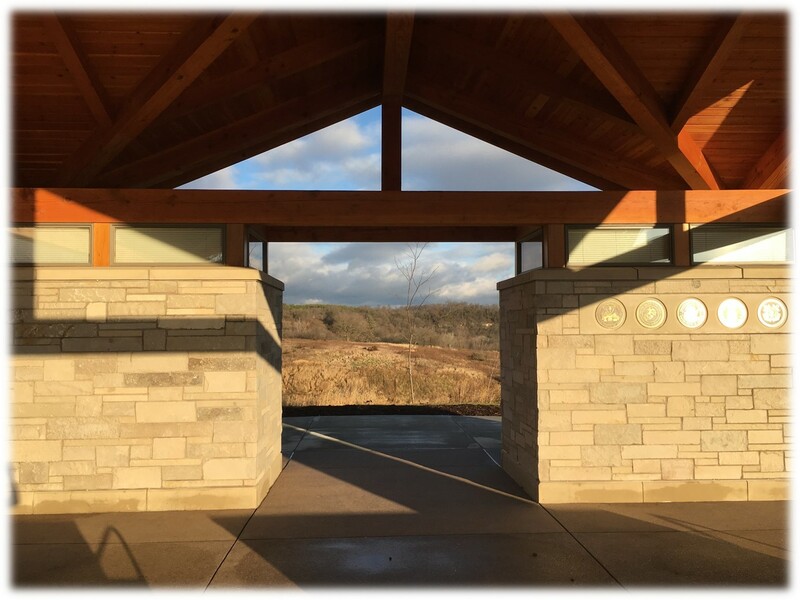 If cremated, the family can choose between an in-ground burial or a burial in the above-ground columbarium. The cemetery is divided into sections. “The sections are divided for urns or caskets or above-ground for the columbarium,” Swantek described. The columbarium walls contain niches to be removed to place the urn into the assigned cubicle. Later, the niche cover will be inscribed with the veteran’s name. The main difference with this cemetery from private cemeteries is the inclusion of crypts, or vaults, for those choosing the casket burial. “The main difference is the crypts. Private cemeteries require the family to purchase the vault from the funeral home. We provide that at no cost,” Swantek noted. The families of the veterans will typically see the government-issued, marble headstones put in within a 60-day time frame, with an exception of the wintertime. In the winter, the permanent headstones are not placed until the spring, so a temporary marker will be placed temporarily. Once the burials begin, veterans being laid to rest will be assigned to plots in chronological order. The only choice for the family to make is if they prefer the cremated remains to be in-ground or above ground. As the cemetery works in a section, there is no distinction between branches of service or officers and enlisted men. Hoff and Quanrud will be the leaders of the sections. Military honors will be available for veterans, provided by local veteran’s service organizations and their rifle squads. "Several area veterans service organizations have volunteered to provide a rifle squad at least one day per month," Swantek noted. "We plan to host the dedication of the new cemetery Sunday, May 29, 2016" Swantek concluded. At the initial groundbreaking on November 8, 2014, U.S. Under Secretary for Memorial Affairs Steve Muro said this cemetery will be a constant reminder of the sacrifices made by this nation's veterans. "I want you to remember these names on these headstones gave their tomorrows so we could have our todays," he said. Vietnam veteran James Westby said it means a lot to know southeastern Minnesota veterans will be able to be buried close to their families. He added, "It's a great day for anyone who lives here." The donated land, 169-acre site was a community effort by Fillmore County and the City of Preston, and is located just off Highway 52 in Preston, Minnesota. The cemetery will serve an estimated 51,000 veterans within a 75-mile area. Under the plan, the first phase is slates to develop approximately 28 acres and include a main entrance, cortege assembly area, administration building, maintenance facility, roads, assembly area, committal shelter, 2,309 grave sites for casket interment, pre-placed crypts, 832 in-ground cremation burials, 720 columbarium nitches, landscaping and a memorial walk. Those burial sites are expected to meet the need for the next decade. The Minnesota Department of Veterans Affairs (MDVA) broke ground to celebrate the start of construction of the SE MN Veterans Cemetery, Friday, November 8, 2013. 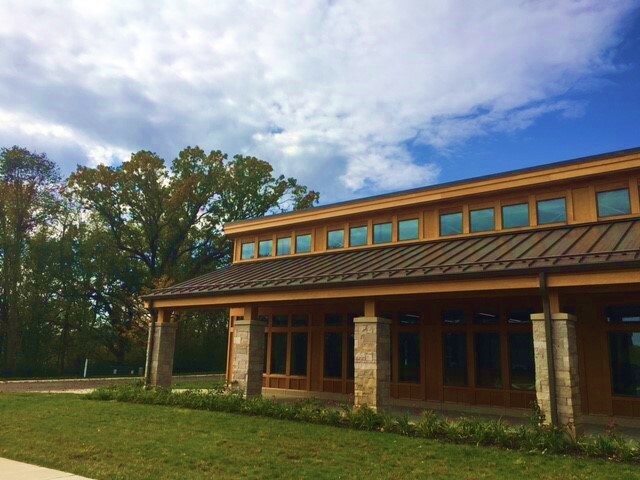 In October the MDVA received official approval of the $10 million construction grant from the National Cemetery Administration for this project. "This award recognizes and celebrates the contribution of America's Veterans," said Under Secretary for Memorial Affairs, Steve L. Muro. 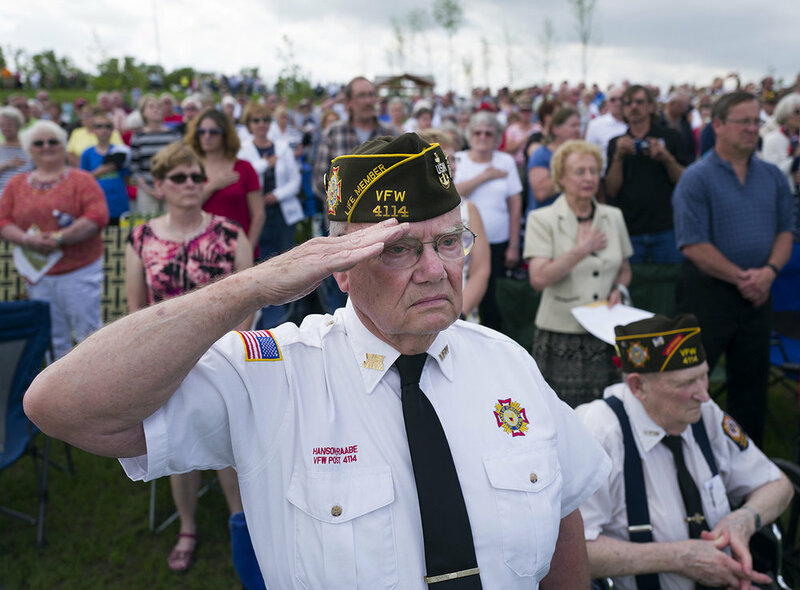 "The new Minnesota State Veterans Cemetery in Preston will ensure that Veterans, their spouses and dependents have access to a final resting place worthy of their service and sacrifice." Olympic Builders General Contractors, Inc. has been awarded the construction grant. The overall project budget is $10.1 million, with construction costs of $8.2 million. Design work has been led by Stantec, an engineering and design firm in St. Paul. 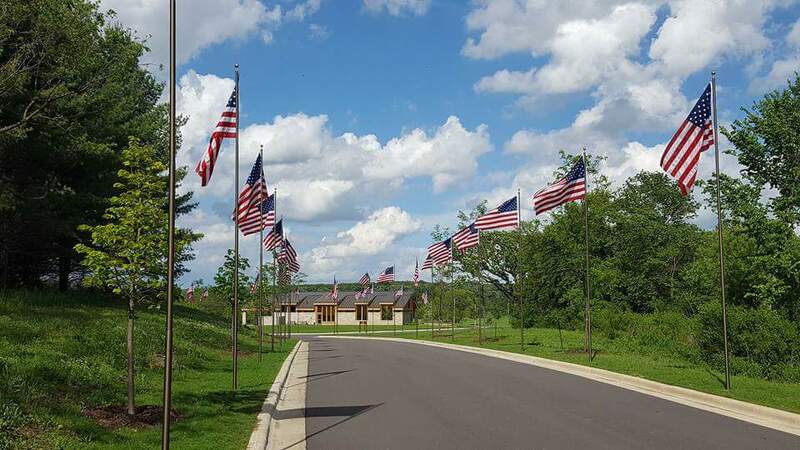 The addition of this State Veterans Cemetery in Minnesota is part of a nationwide campaign by the National Cemetery Administration to provide burial within 75 miles of a Veteran’s home. The closest VA national cemetery to this site in Preston is Fort Snelling National Cemetery in Minneapolis, Minn., which is approximately 120 miles away. The closest state cemetery is Northern Wisconsin Veterans Memorial Cemetery in Spooner, Wis., which is approximately 193 miles away. Burial at a State Veterans Cemetery is open to all Veterans discharged from active military service under conditions other than dishonorable. Their spouses, minor children, and under certain conditions, unmarried adult children, are also eligible for burial. Eligible spouses may be buried, even if they predecease the Veteran. Also eligible for burial are members of the reserve components of the Armed Forces, the National Guard, and the Reserve Officer Training Corps who die while on active duty for training or performing service or who have 20 years of service in reserve components of the Armed Forces creditable for retired pay. 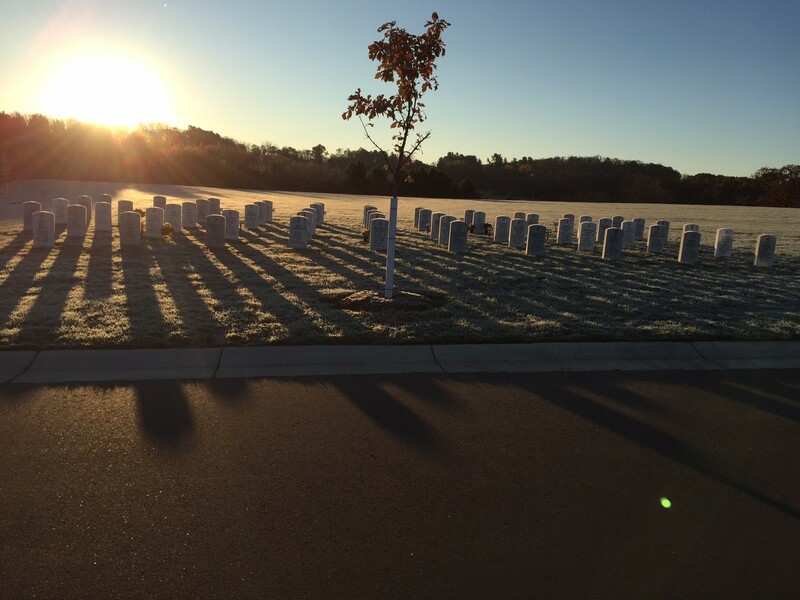 Minnesota's newest veteran’s cemetery held its first burials last week — on Veterans Day. Two former mayors of Preston, Air Force veteran Earl Hoff and Navy veteran Clarence Quanrud, were laid to rest in the new Minnesota State Veterans Cemetery near Preston. It took eight years, $10 million and the combined bipartisan efforts of state and federal lawmakers to create the 169-acre cemetery, which will serve southeast Minnesota and parts of neighboring Iowa and Wisconsin. "It was a very, very moving ceremony," said state Rep. Greg Davids, R-Preston, a former mayor of Preston himself and one of the lawmakers who fought for years to get the cemetery funded. The former mayors were laid to rest with rifle salutes, prayers and full military honors. "It was very fitting." Dori Greene of Dodge Center, Minn., held her 1-year-old granddaughter, Amelia Wittmeier, during the dedication of the Minnesota State Vets Cemetery Preston Sunday, May 29, 2016, in Preston, MN. 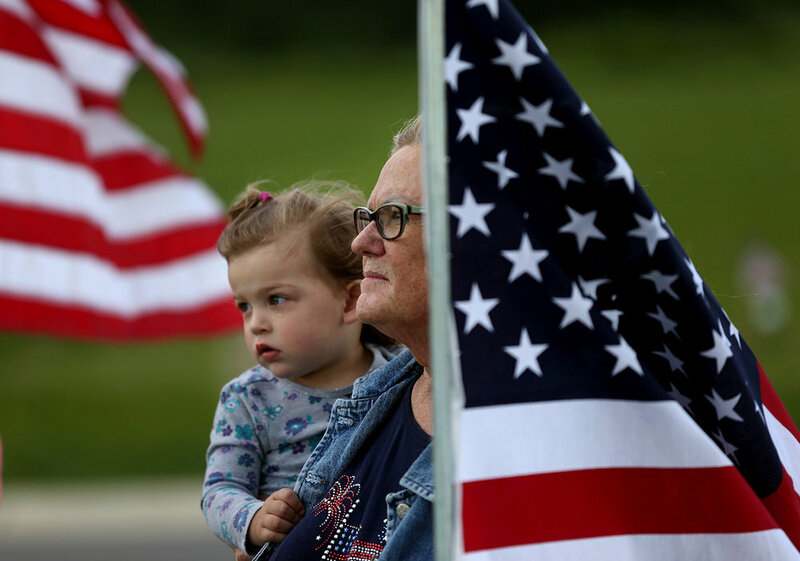 Minnesota Navy veteran Roger Tangen saluted as the flags were posted at the Minnesota State Veterans Cemetery Sunday, May 29, 2016, in Preston, MN. Minnesota veterans Norbert Skaran, left, WW II, Roger Tangen, Vietnam, Dale Wondrasch, Korea, and Malcolm Goodman, WW II, watched a flyover of WW II aircraft at the Minnesota State Veterans Cemetery Sunday, May 29, 2016, in Preston, MN. Keynote speaker U.S. Representative Tim Walz addressed the crowd during the dedication of the State Veterans Cemetery in Preston, Minn., on Sunday, May 29, 2016. 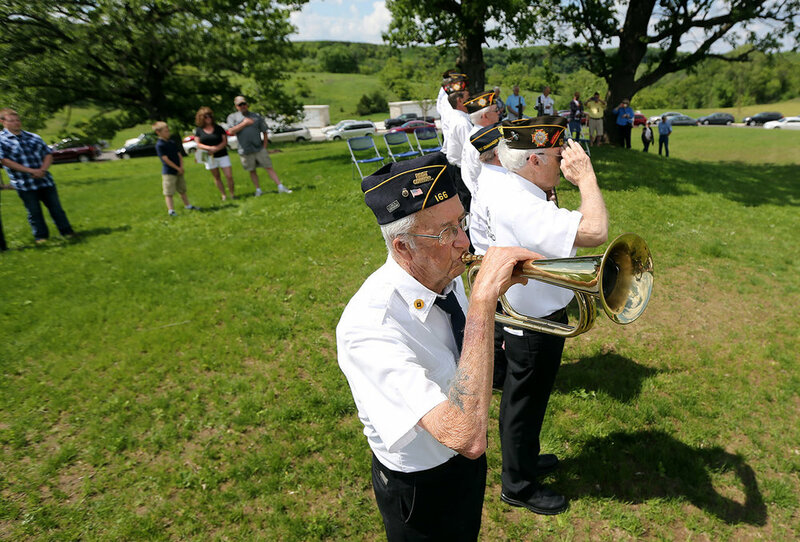 Jim Pickett, Army WWII veteran, played taps with members of the Preston Memorial Rifle Squad at the State Veterans Cemetery in Preston, Minn., on Sunday, May 29, 2016. 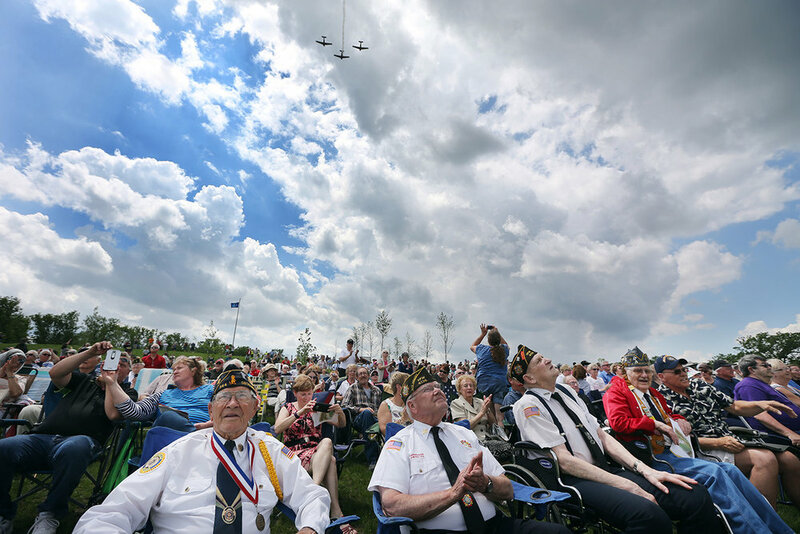 Cumulus clouds competed with sunshine Sunday afternoon, sending rain showers now and then onto the crowd of about 1,000 people who sat and stood in the green pastures to help dedicate the Minnesota State Veterans Cemetery on the outskirts of this community of about 1,300 people. The Preston cemetery, only the second official state veterans cemetery — the other is in Little Falls, Minn. — sits on 169 acres donated to the state by Fillmore County. Ultimately, it will be able to hold 35,000 souls. This first phase has room for about 3,500. The first two burials, both former mayors of Preston, were on Veterans Day 2015. There have been about 40 more since then, and demand is expected to be high. Four charter buses of veterans and their families plan to tour the cemetery this coming week, said Robert Gross, superintendent of the Preston cemetery. Stuart Quanrud’s father, Clarence, a Navy veteran of the Korean War, was the first burial there. “It’s very respectful to come out and pay your respects,” said Quanrud, of Preston. Memorial Day, he said, is often seen as the kickoff to summer, a weekend to head to the lake, go boating, cook out and spend time with family. Cemetery superintendent Gross led the crowd in singing “Happy Birthday” to 101-year-old Ernie Corson, a World War II veteran. Mari Blanchard of Spring Valley, Minn., came with her husband, Mike, a Navy veteran. She said her mother was buried at the cemetery on May 16. Her father will be, too, eventually. Iraq war veterans Kristen Whalen Rhodes, 33, and her husband, Adam, brought their two daughters, ages 8 months and 2. Whalen Rhodes said she grew up in nearby Harmony; the couple met in the Army. Chris Miller, 84, of Rochester, a retired Air Force colonel who said he served in the Korean, Vietnam and Cold wars, sat on his walker next to his friend Harold Dison, 87, a veteran of the Army National Guard. “I came out here today to pay my respects to my B-36 and B-52 crew members who have passed away,” Miller said. “We’re not going to be visitors for very long. We’ll be planted here,” he said with a laugh. Officials with the state Department of Veterans Affairs started talking about a new state veteran’s cemetery almost six years ago following the success of the Little Falls cemetery, which opened in 1994. The Preston cemetery got underway when Fillmore County donated the land in 2013. Of the total project cost of $10.7 million, $10.1 million was federal money, $600,000 was state. 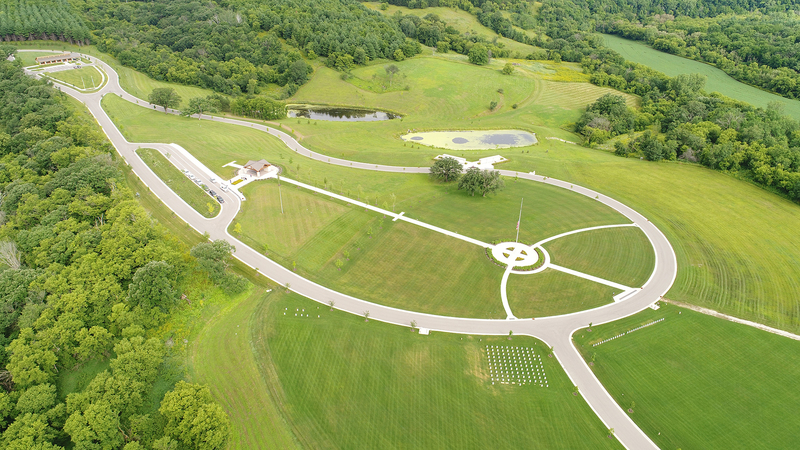 When construction began in 2013, it took almost two full years to turn the heavily wooded area into a bucolic setting of new grass, plantings and rolling hills, said David Swantek, senior administrator of memorial affairs for the Minnesota State Veterans Cemeteries. Hundreds of American flags flew Sunday on the entry road to the cemetery and were carried by the Patriot Guard riders, color guard members from Preston and other small communities nearby and the Minnesota Military Funeral Honors Team. A bald eagle circled the sky below the first of two flyovers of B-25, B-36 and B-52 bombers. The second was in the “Missing Man” formation.